Of flowers and fruits, with natural ingredients and pleasant scents, isn't it wonderful when you smell nice after shower? Thanks to Butterfly Project Malaysia and Watsons Malaysia, I have the chance to try on the body care products from Kustie and I Love... 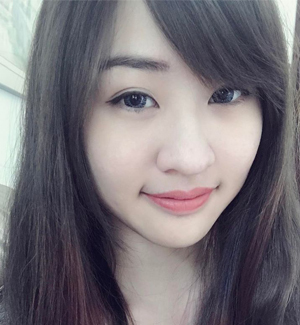 Both are interesting brands because Kustie is from China while I Love... is from United Kingdom. Kustie has an interesting packaging, very much alike to the Kailijumei lipstick. On the other hand, I Love... has a fruity and delicious scent with their natural ingredients! Kustie Shower and Bath Gel series is another body and bath collection with attractive packaging. 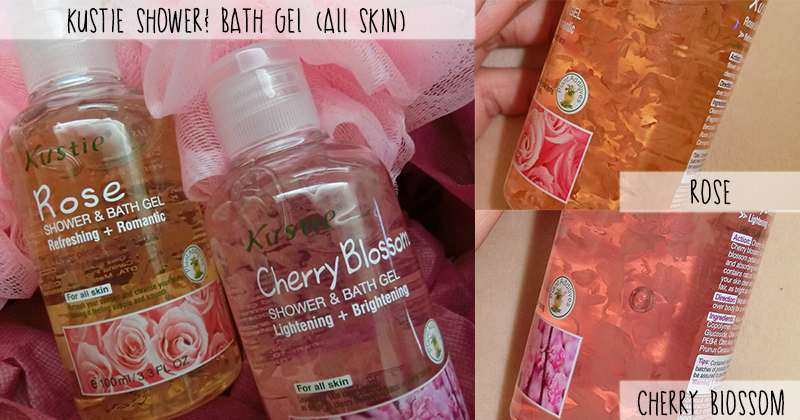 In Kustie Shower and Bath Gel series, there are 4 scents to choose from: Rose, Cherry Blossom, Lavender and Chamomile. My attention has been given to all the flowers in the bottle! They are natural real flowers and specially handpicked from natural farms to ensure different maturities of freshness. The shower gel series are Paraben free with natural fragrance, leaving the skin smooth and silky after application. I have the Cherry Blossom and Rose shower gel. 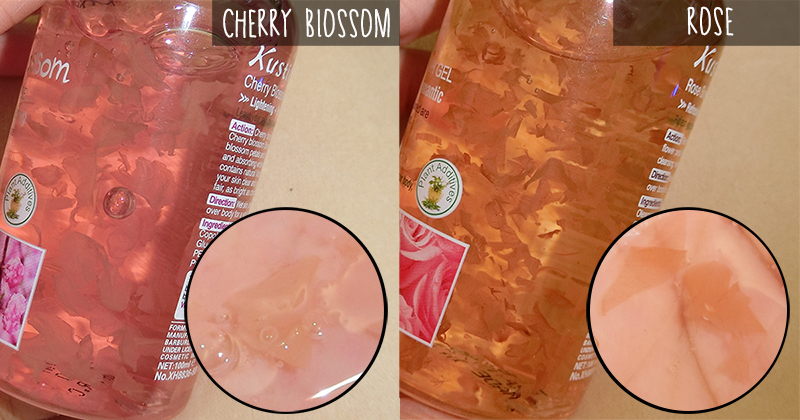 Cherry Blossom shower gel aims to lighten and brighten the skin, whereas the Rose shower gel leaves a refreshing and romantic scent on the skin. Cherry Blossom shower gel contains cherry blossom essential oil and extract to renew the skin to a brightening and silky state, while the Rose shower gel has rose essential oil and natural nutrients that leaves a soft and silky skin. 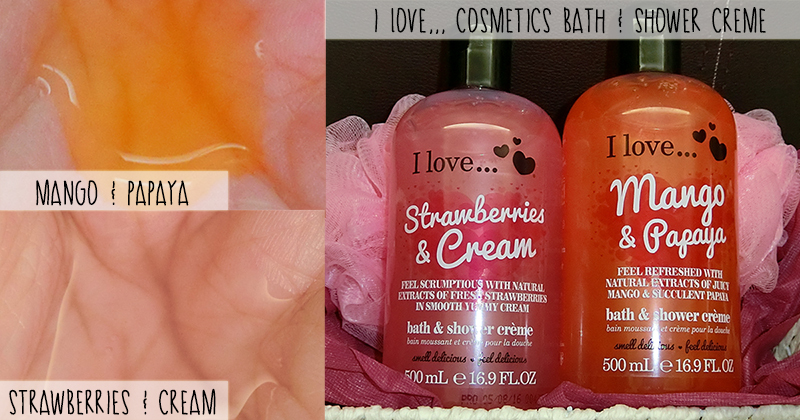 I Love... is a bath, body and beauty brand that creates the most deliciously scented products in the world. They are fun and has the most delectable scents with their mixture of fruity ingredients. I Love... is a UK brand that committed to sourcing and manufacturing the products from UK suppliers. I find it interesting when the Managing Director of I Love Cosmetics, James Brown shares his passion for fragrances. He mentioned the fragrances and the emotional connection created when people are surrounded by fragrances will evoke happy memories and positive emotions in a person's psyche. That's how he started to create I Love Cosmetics and inspire to create more memorable products to their supporters. The products are having a very strong fruity scent and to be honest, I prefer the Kustie series with flowery scent. It's has softer and refreshing flowery scent, suits my fragrance preference. So, have you try any of these products already? Would you choose a fruit scented shower gel or a flowery scented shower gel? Such a wonderful detail you have posted here on body care.I really like it. You can Buy Body Care Products Online at affordable price.